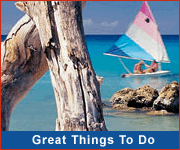 One of the Barbados.org's "Seven Wonders Of Barbados!" 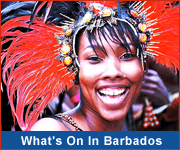 There is one synagogue situated in Barbados' capital city Bridgetown. Built in the 17th century (1654) it was destroyed by hurricane in 1831, was rebuilt, fell into disrepair and was sold in 1929. In 1983, it was bought back by the Jewish community and was restored to its present state with its beautiful Gothic arches, and is now a Barbados National Trust protected building and an active synagogue. Located next to the synagogue is the Nidhe Israel Museum. About 300 Jewish people of Recife, Brazil, persecuted by the Portuguese, settled in Barbados in the 1600's. Skilled in the sugar industry, they quickly introduced the crop and passed on their skills in cultivation and production to the Barbados land owners. With their help Barbados went on to become one of the world's major sugar producers. The synagogue is located within the UNESCO World Heritage Site - Historic Bridgetown and Its Garrison and is also a part of the Synagogue Historic District which you can explore at synagoguehistoricdistrict.com. Visit this Synagogue on a walking tour of Bridgetown.